It was a warm, sunny day in mid June when my wife Lynn and I decided to reacquaint ourselves with the beauty of Mono Cliffs Provincial Park. 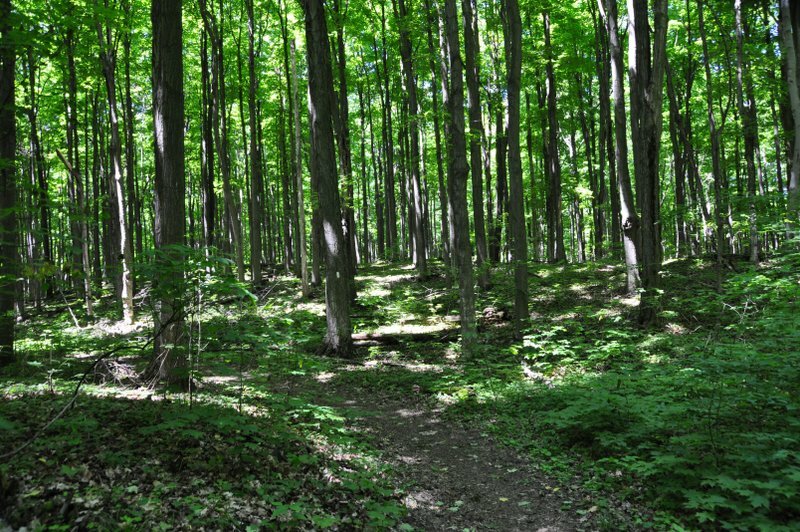 We have hiked the trails in this park located northeast of Orangeville, Ontario many times and in all seasons. 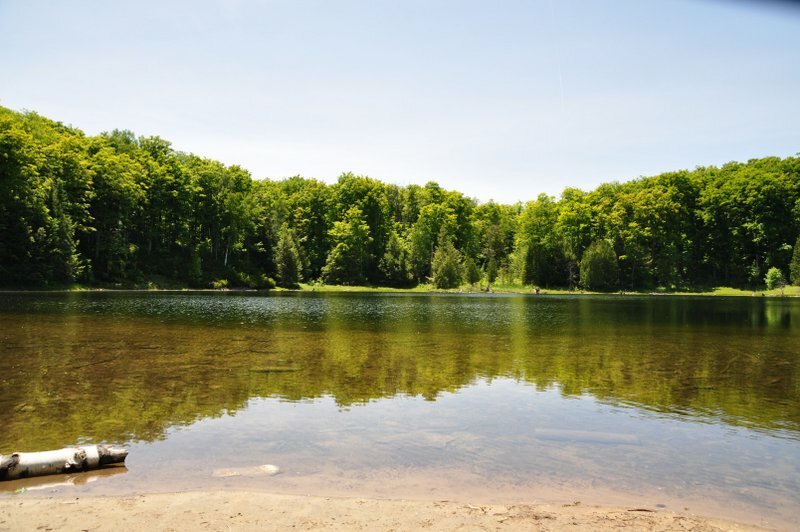 Mono Cliffs Provincial Park is a 750-hectare Ontario park and features 30-metre cliffs of the Niagara Escarpment, bedrock outliers, a glacial spillway, ponds, streams and a kettle lake. 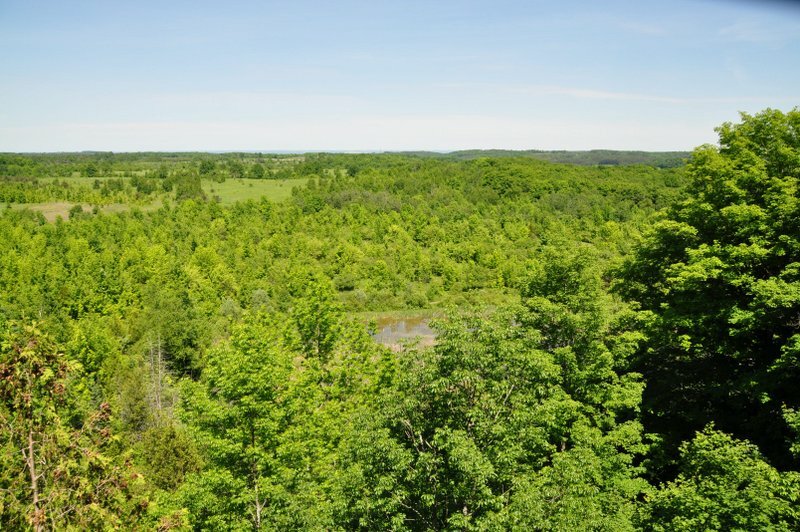 The trail-oriented park includes numerous footpaths including approximately six kilometres of the Bruce Trail. Shortly after arriving at the park we made our way to the Cliff Top Trail where we located our trail of choice for this day – . 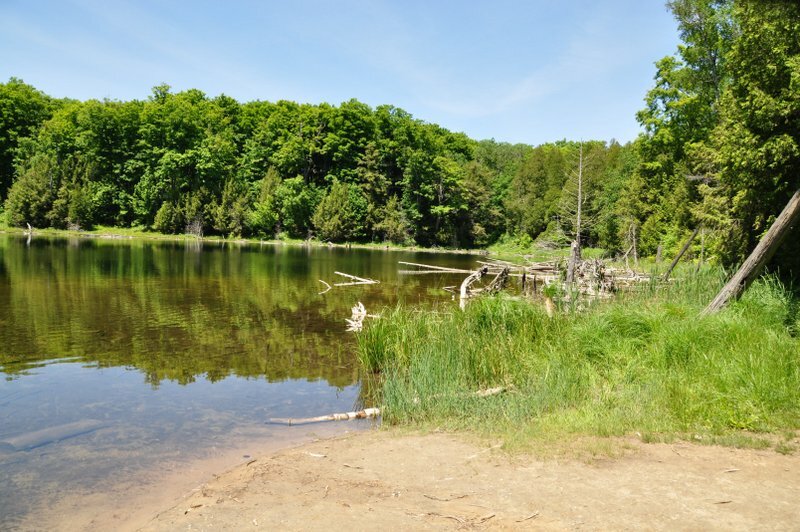 This scenic trail is a 3.6 kilometre loop trail that goes around scenic McCarston’s Lake. McCarston’s Lake is a kettle lake that was created approximately 14,000 years ago when a large piece of buried ice from a retreated glacier melted. 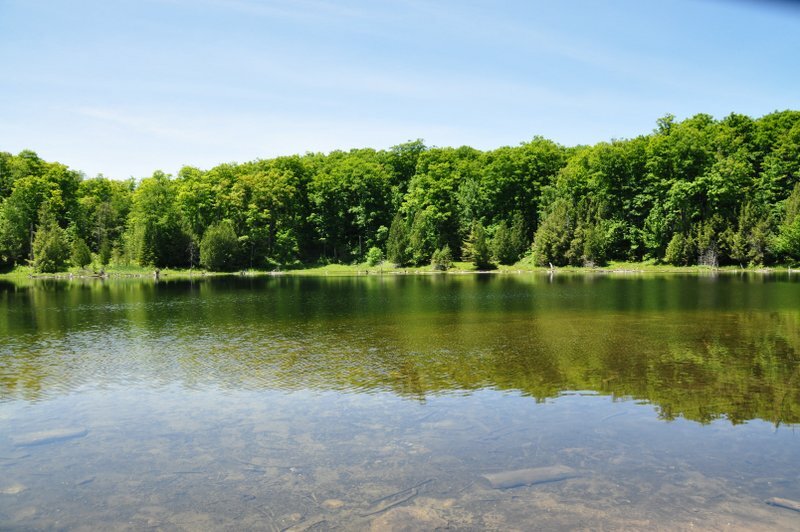 The hike that goes along a meadow before entering a mature deciduous forest surrounds the lake ending on a nice beach from which you can admire the beautiful lake surrounded by woods. After spending about half an hour enjoying this location, we headed to the Cliff Top Trail from which we could access a viewing platform that provides impressive views over the park. Located a little further along the trail from the viewing platform is Jacob’s Ladder. Jacob’s Ladder is accessed using some metal stairs and wooden boardwalks. At this location you can see spectacular cliff faces that contain fossils. These cliffs are home to trees and ferns which have found a place to survive on the rocks. One of the reasons why I enjoy Mono Cliffs Provincial Park, besides the sheer beauty of it, is that development within its boundaries has been kept to a minimum and consists mostly of educational display panels and interpretive signs. This means that you can marvel at the various ecosystems in a relatively untouched state. Within the park there exists deciduous and mixed forests, wetlands and old fields. The trails in the park are well marked with some designated for bicycles and horses. Dogs on leashes are also allowed in the park. In winter cross-country skiing and snowshoeing are permitted. 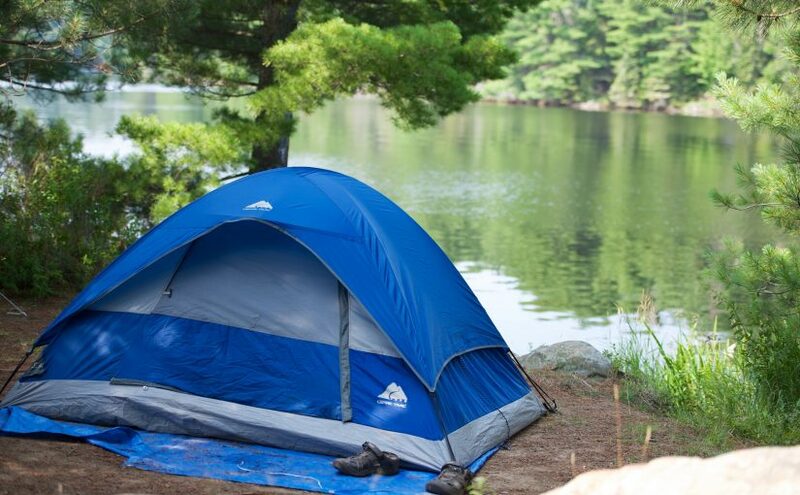 Mono Cliffs Provincial Park is home to many species of animals and plants. More than 450 species of plants are in the park including more than 40 species of ferns. Growing on the cliffs are old-growth, eastern white cedar. The stunted trees, which don’t appear old, are actually hundreds of years old! Joining the impressive plants in the park are numerous species of mammals, birds, reptiles, amphibians and fishes. While it is always important to stay on the trails, it is particularly vital in this park which contains many rare species of plants as well as numerous dangerous and environmentally sensitive areas. While summer is a popular time to hike the trails, many of which are shaded by mature deciduous forests, the other seasons each hold beautiful landscapes. Spring sees the parks impressive forests come alive while winter brings with it a quiet, more desolate, environment. Fall is when the trees transform into a spectacular array of colours before losing their leaves. And hiking in the park when the deciduous trees are bare is also special providing another perspective of this relatively untouched island of nature in a rapidly developing part of the province. Directions to the Park: Take County Road 18 (Airport Road) to Dufferin County Road 8 (Mono Centre Road) and go west for approximately 4 kilometres to 3rd Line E.H.S. Turn North and go approximately 1 kilometre to the parking lot on the west side. 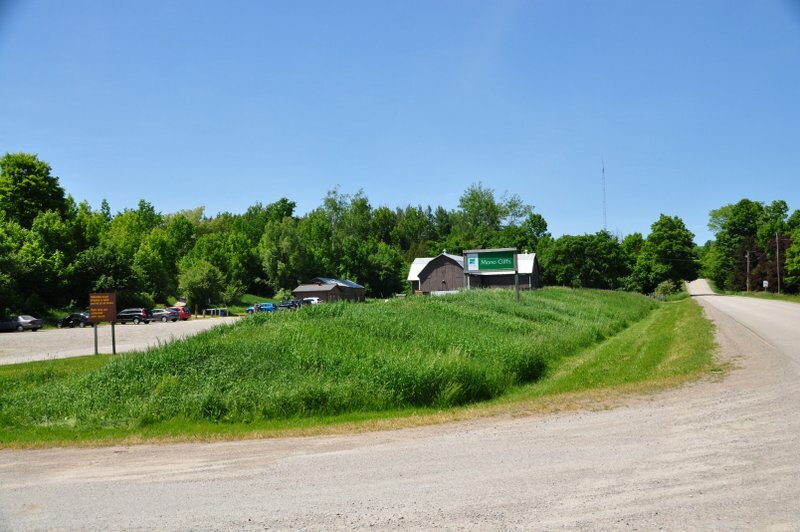 You can also take Highway 10 north of Orangeville to Dufferin County Road 8 (Mono Centre Road). Go east through the village of Mono Centre to the 3rd Line E.H.S. Turn north and proceed for about a kilometre to the parking lot on the west side. Park fees are done through a pay-and-display machine in the parking lot. Washrooms are also available here.